Trucks: 7″ 180 Aluminum Drop Through Longboard Trucks,support the bamboo longboard stack more weight! Wheels: 70x51mm PU Wheels Hardness 85A,suitable for the bamboo skateboard. 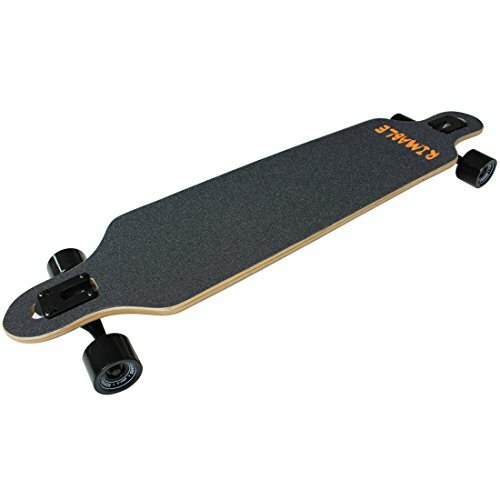 High-Speed Lubricant Bearing keep the bamboo longboard smooth. 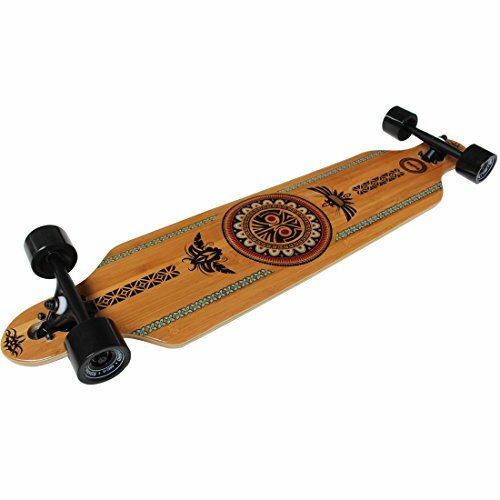 RIMABLE Bamboo Drop Through Longboard (41 Inch, Polynesian). 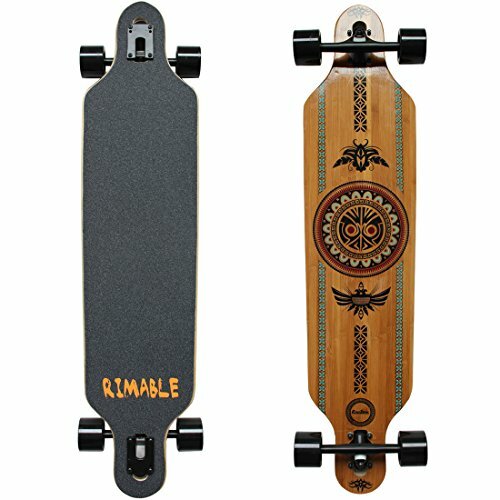 Rimable Bamboo longboard Use updated bamboo/maple half breed deck with somewhat more concave.More solid and elastic!